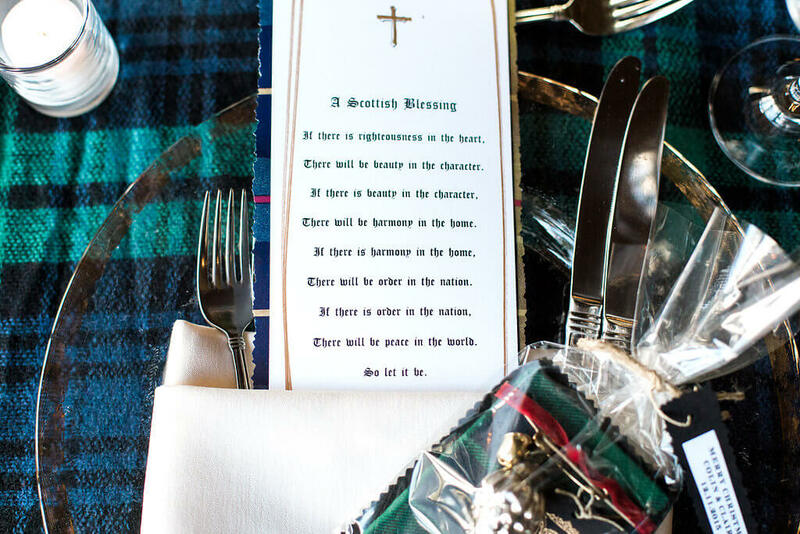 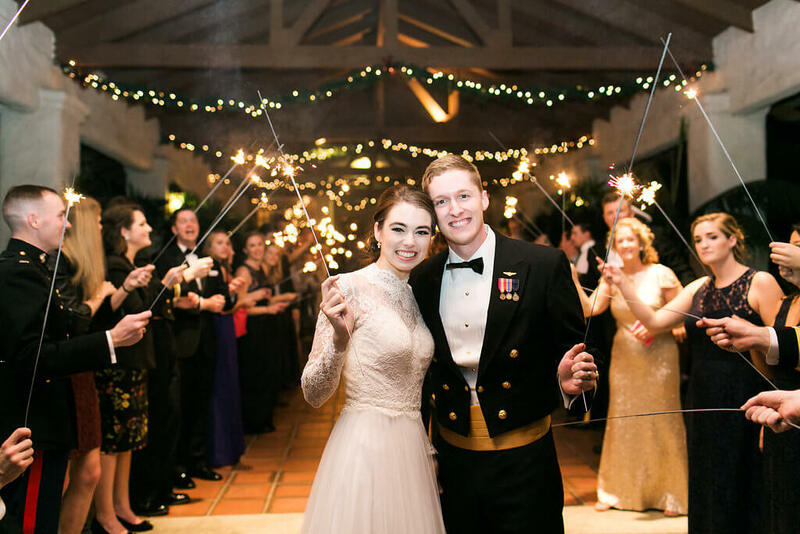 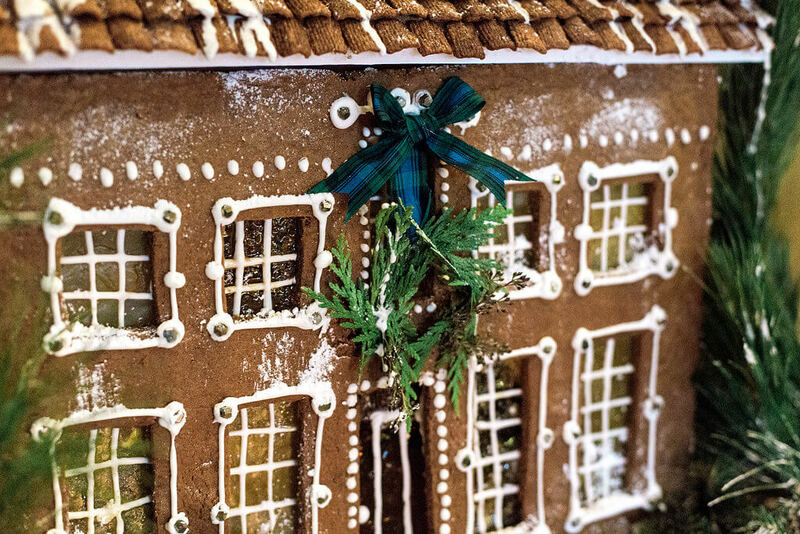 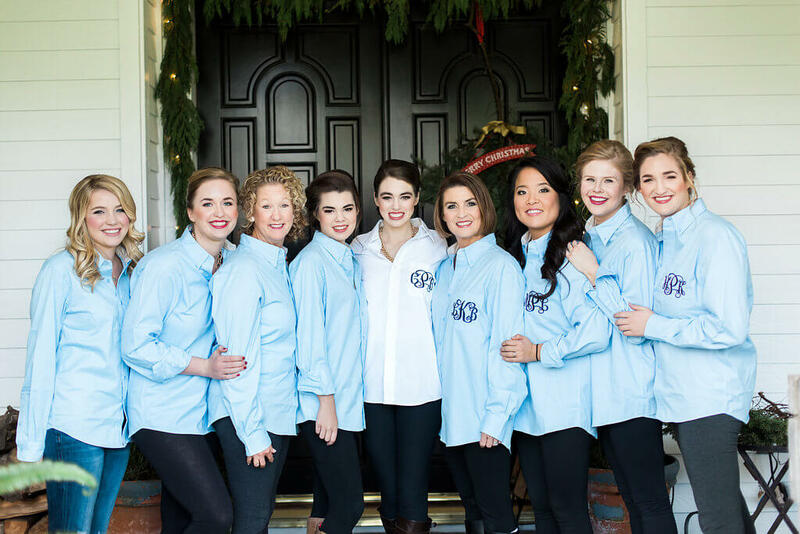 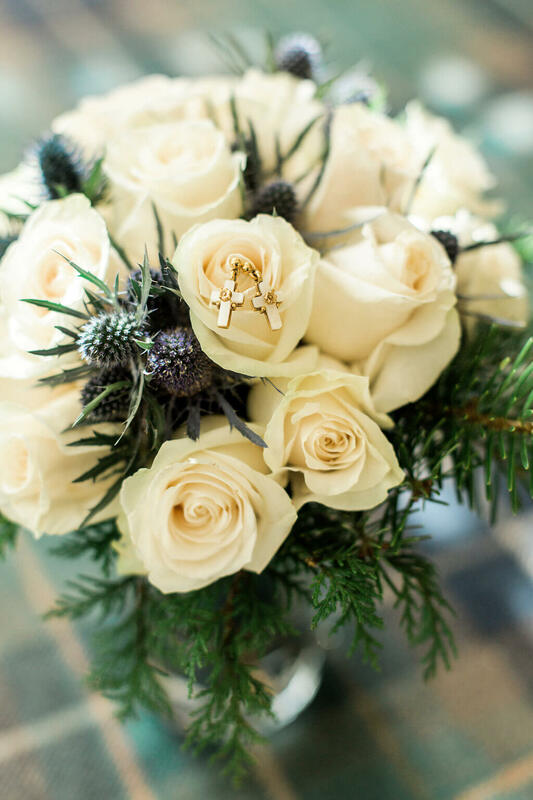 Claire and Colin’s tartan plaid wedding was a mix of military tradition, the bride’s Scottish heritage and the joy and twinkle lights of Christmas. 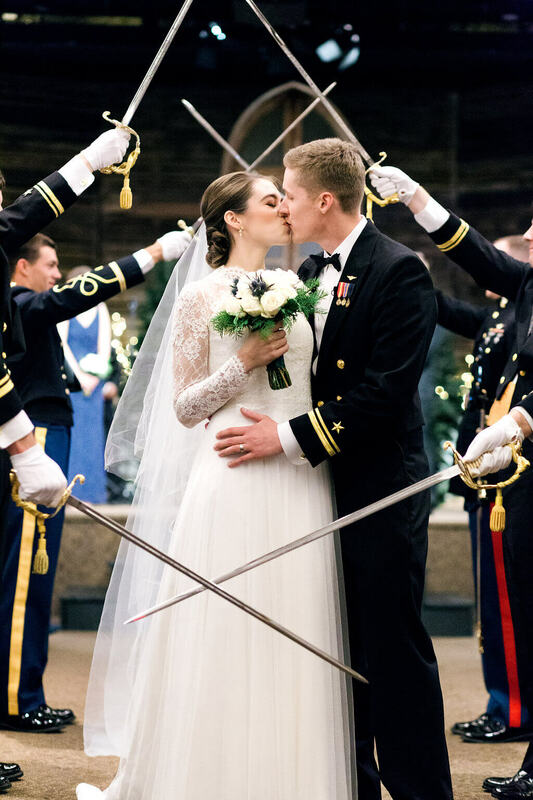 Claire had always dreamed of getting married in Scotland but military duties for her fiancee didn’t allow. 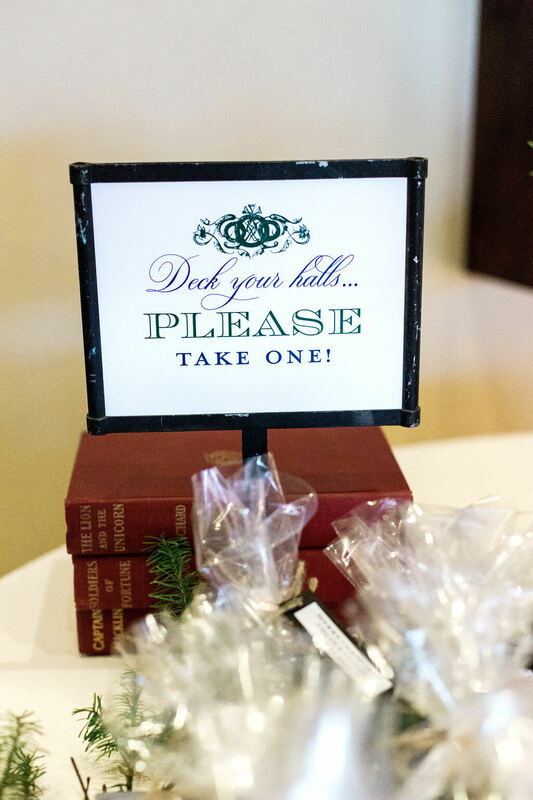 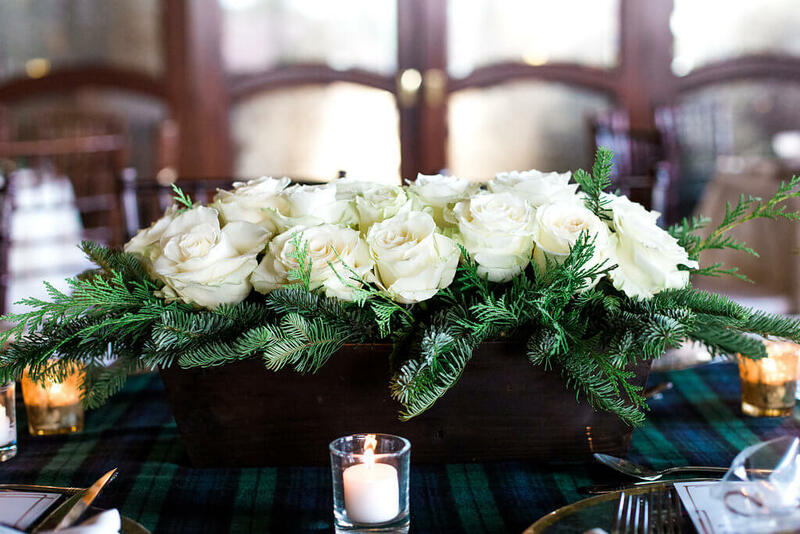 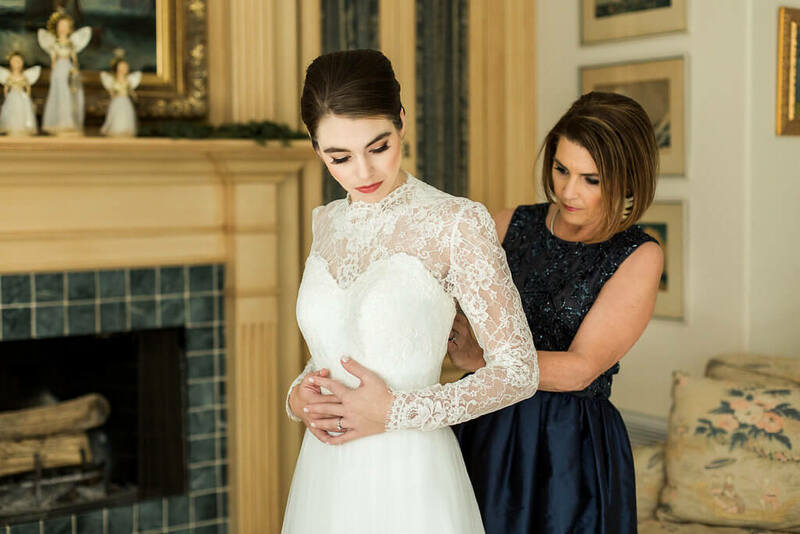 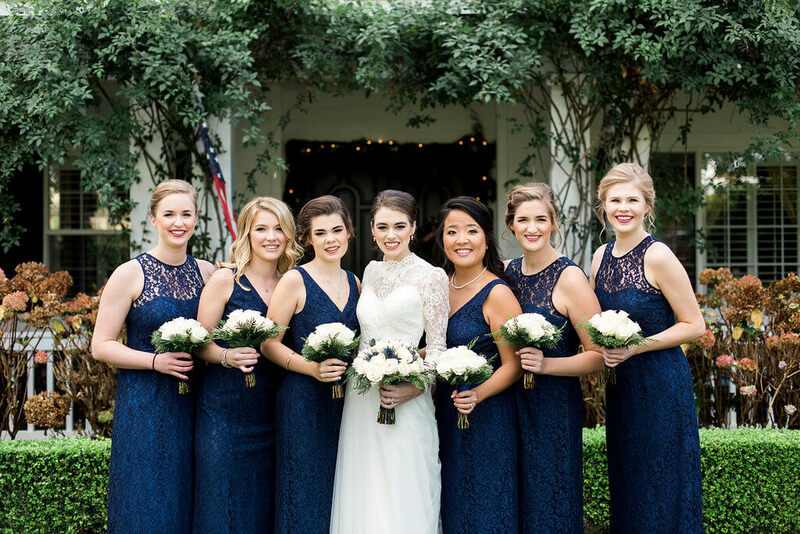 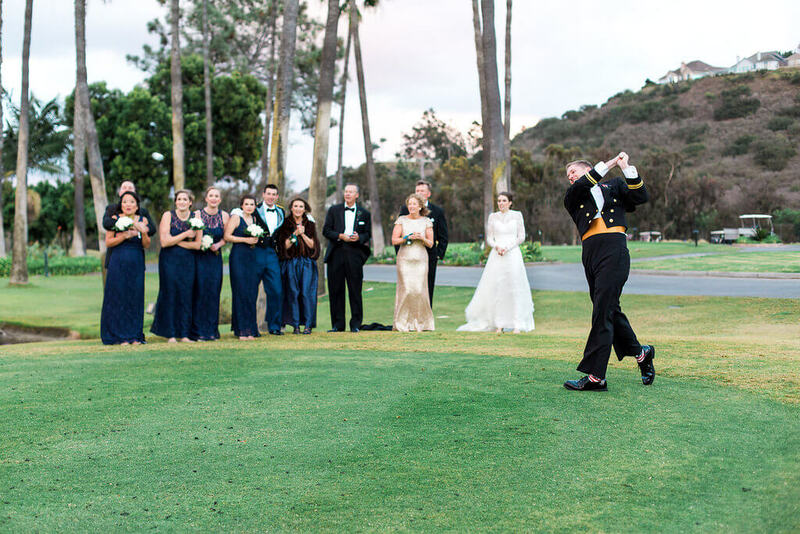 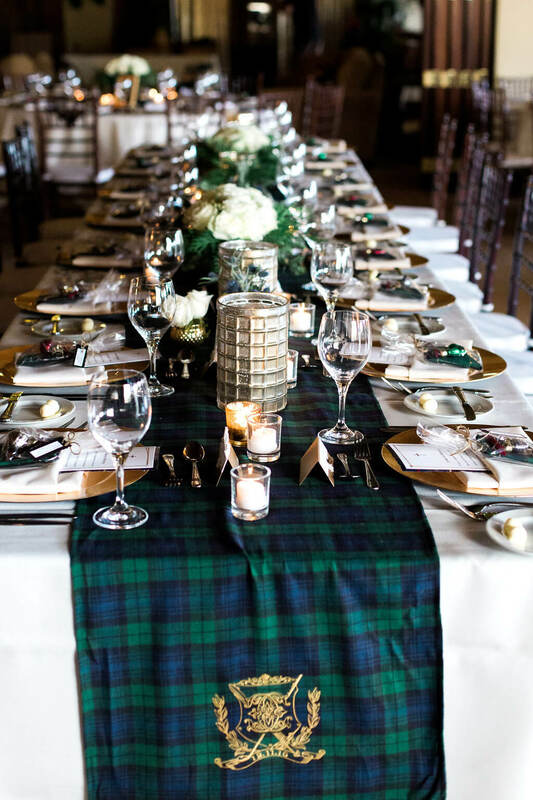 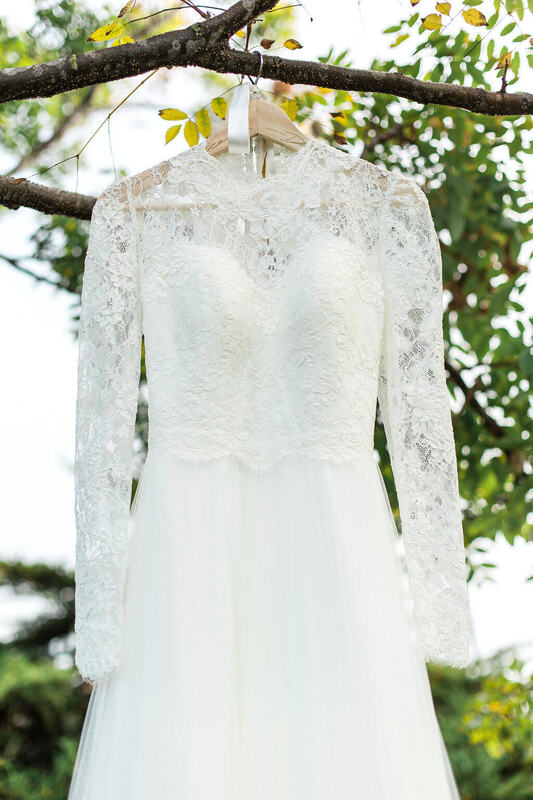 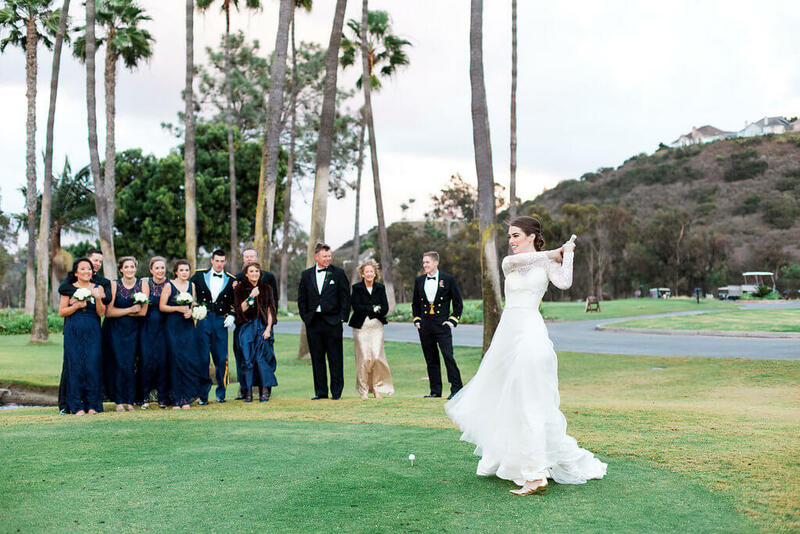 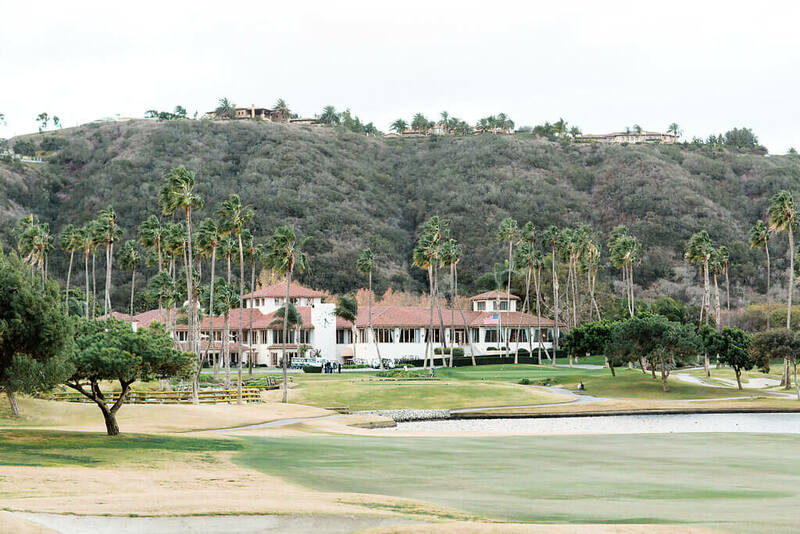 Instead, they decided to hold their tartan plaid wedding at the fabulous Fairbanks Ranch in Rancho Santa Fe, California. 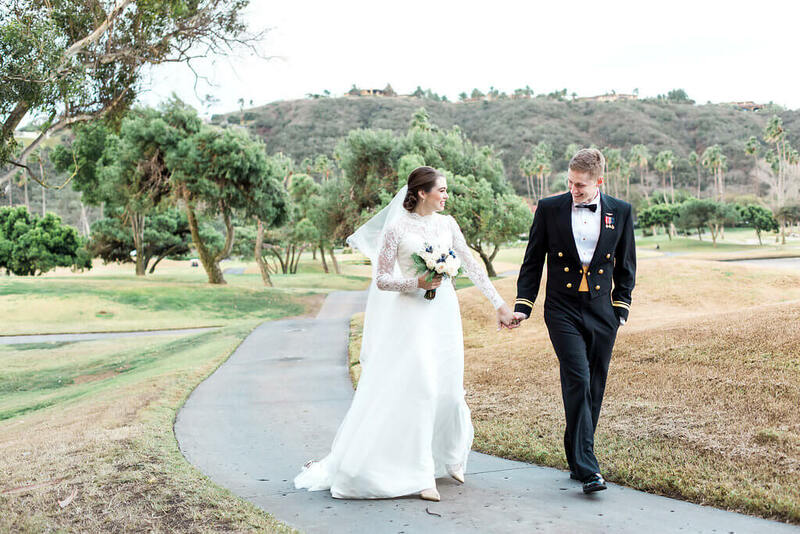 What a STUNNING backdrop it was! 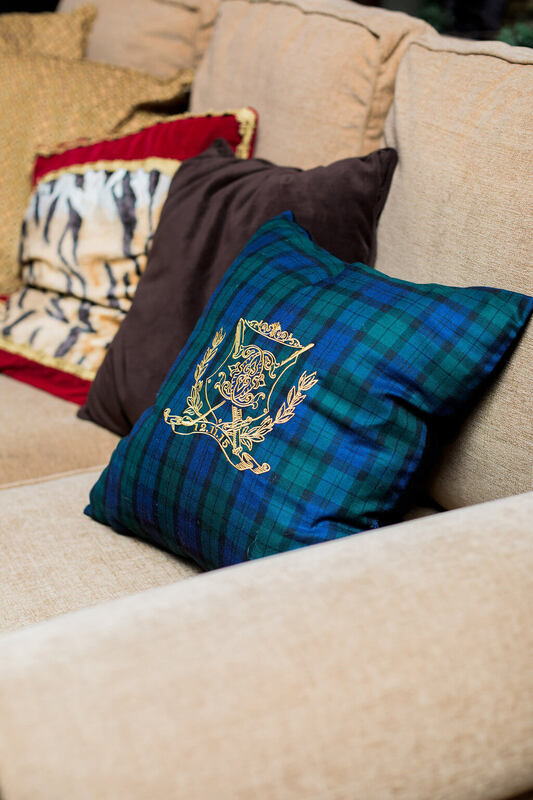 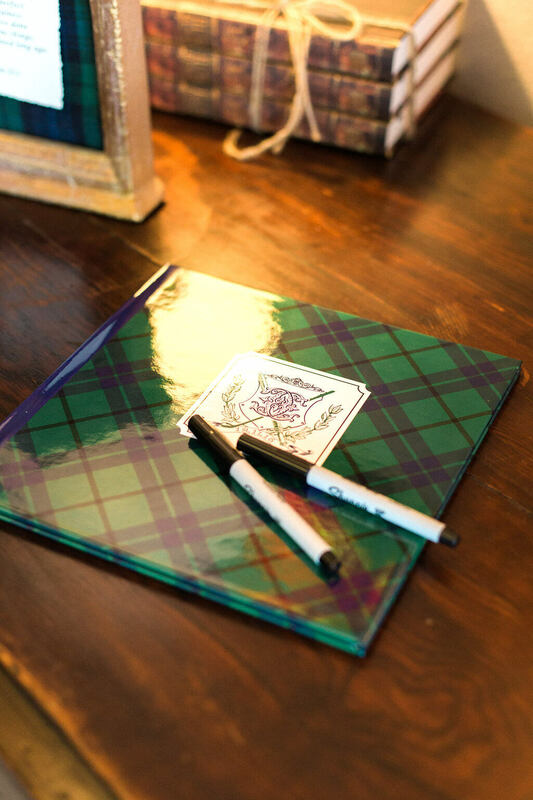 We of course incorporated tartan plaid into many of her paper goods, and she even had monogrammed pillows and table runners made! 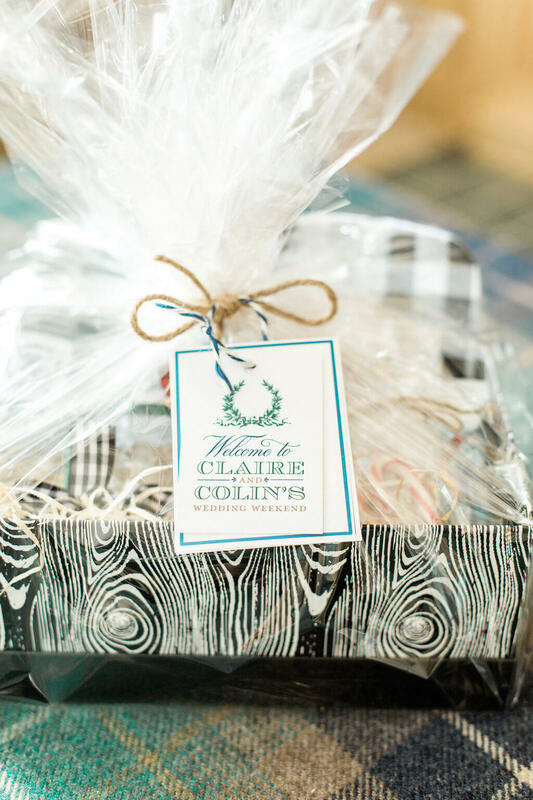 For Claire and Colin’s custom wedding logo we used interlocking initials. 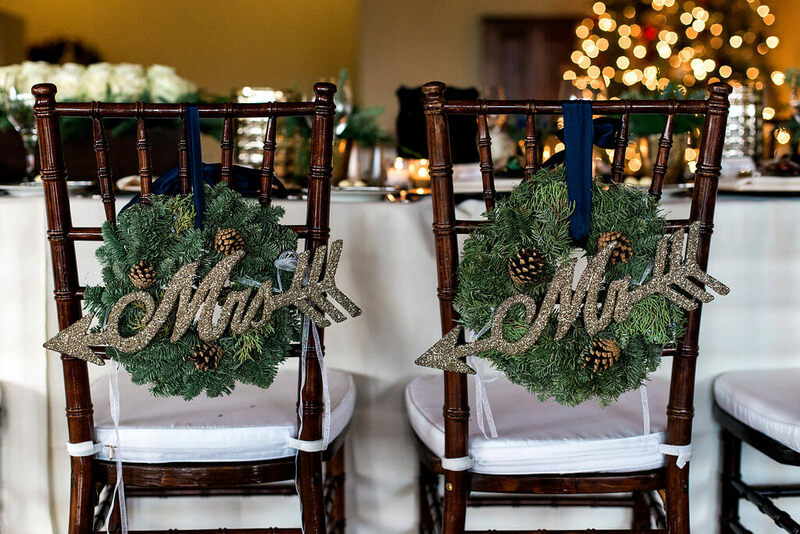 We added in a wreath for the season, and in some instances, golf clubs as a nod to their love of the game! 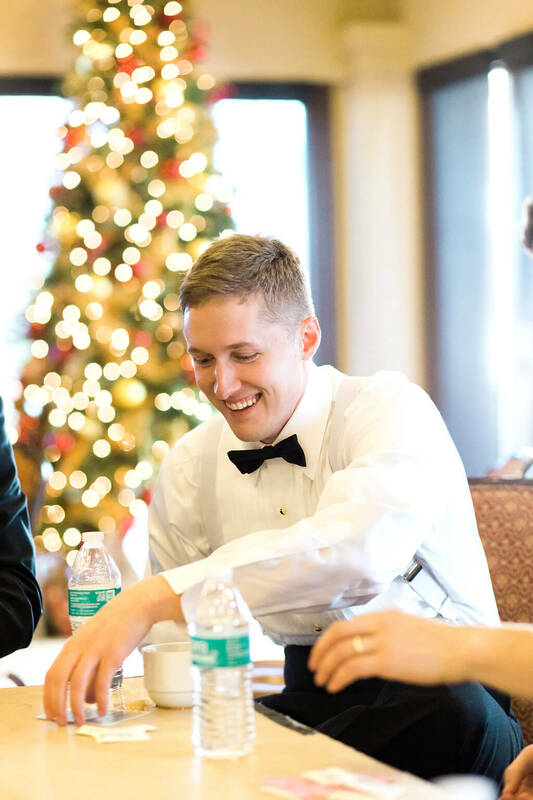 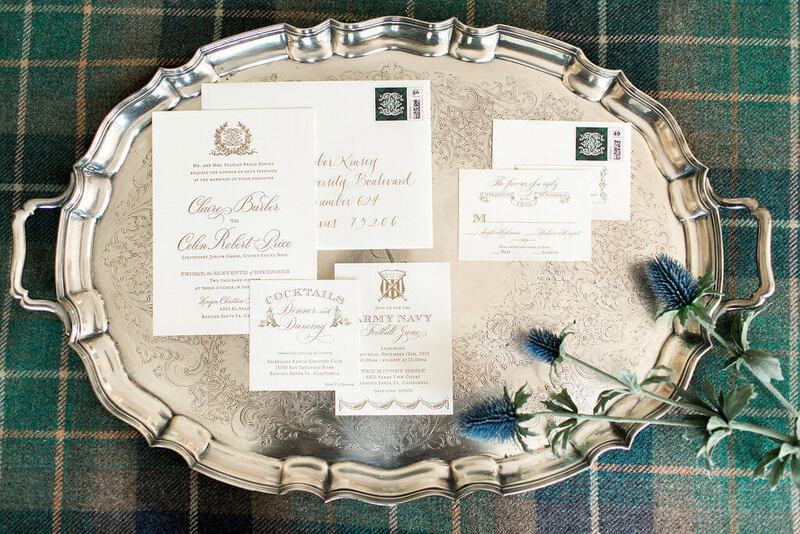 The custom monogram was used on the top of the letterpress wedding invitations. 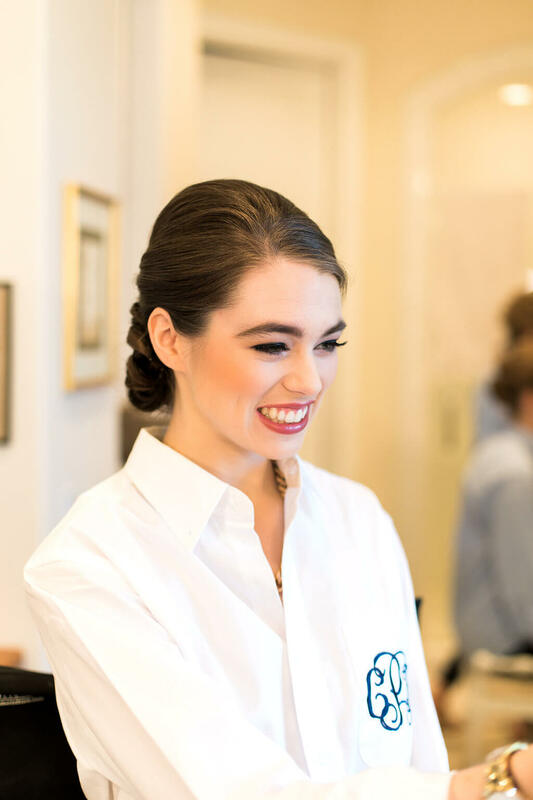 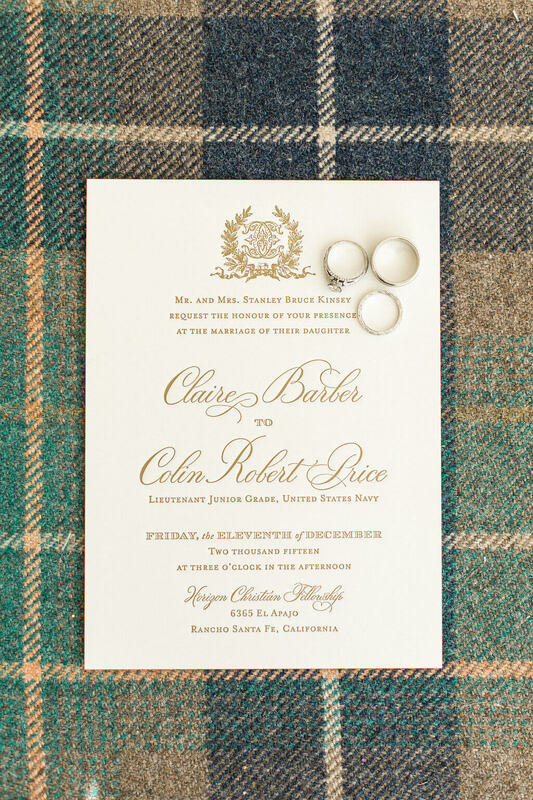 The tartan plaid was used as her liner and the background of her custom wedding stamps. 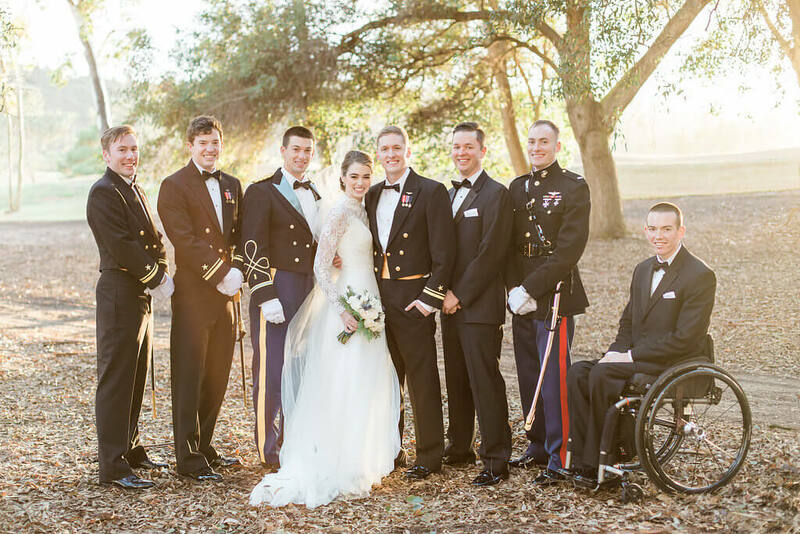 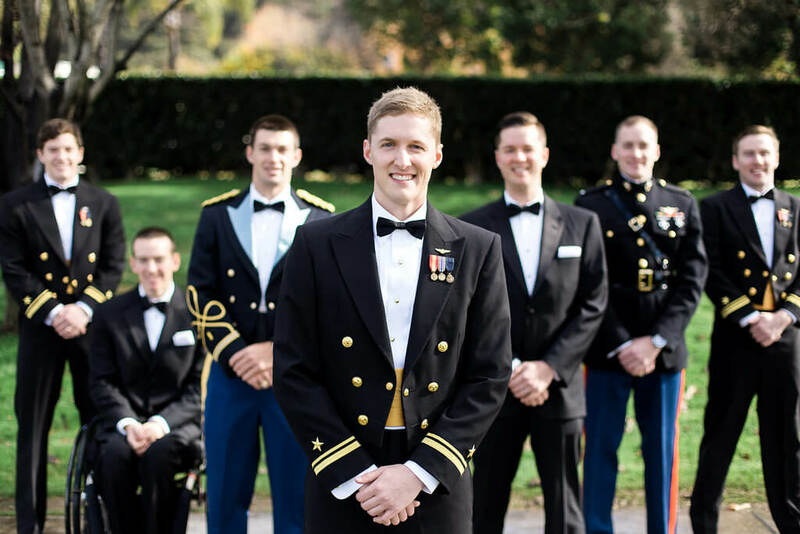 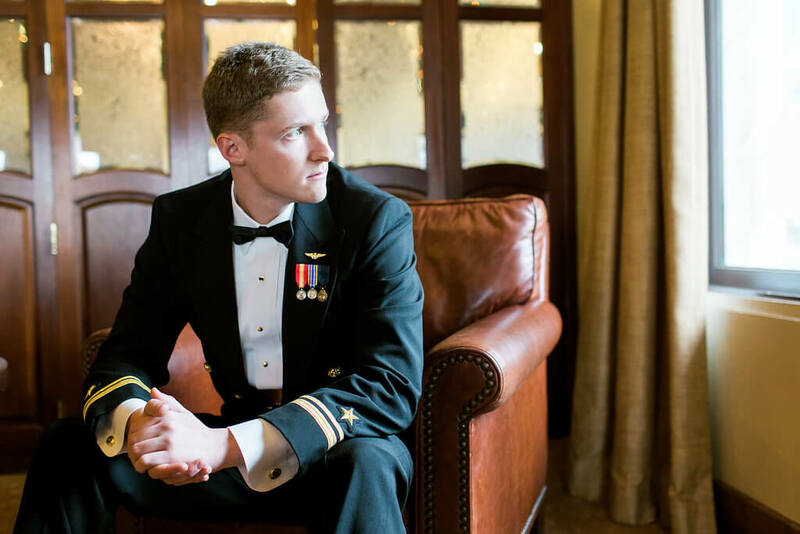 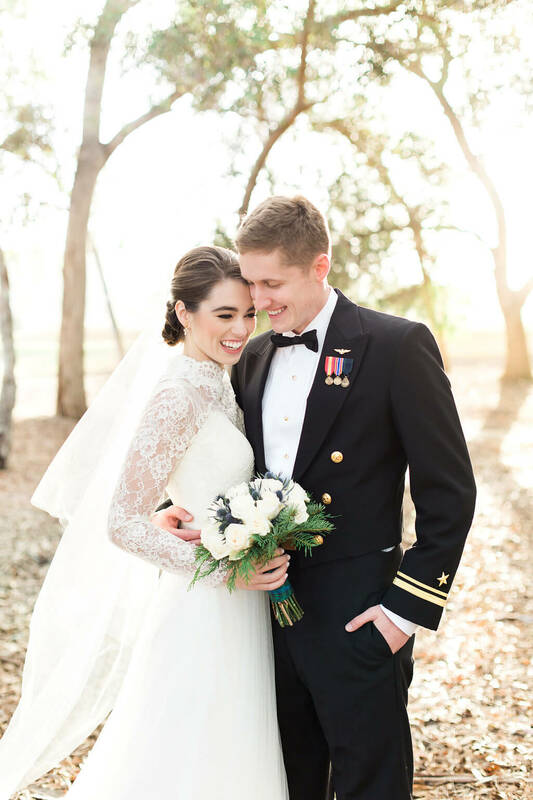 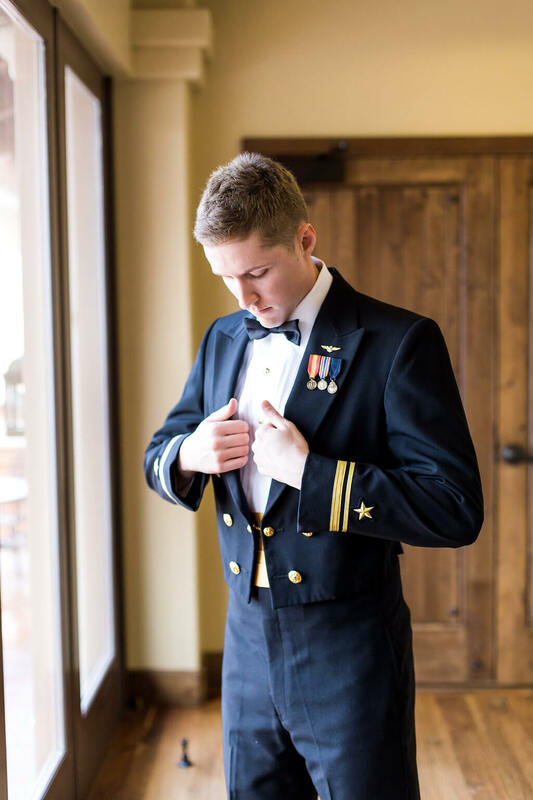 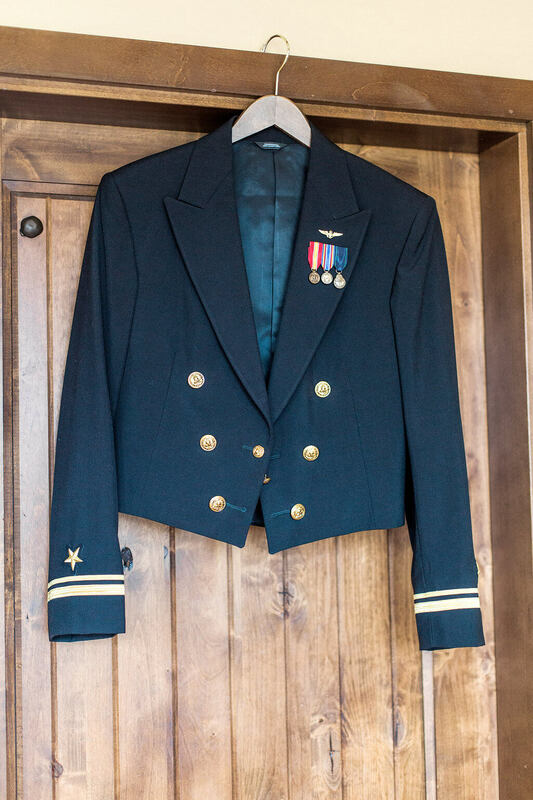 With the groom in military dress and Claire in a long sleeve white gown they looked like royalty on their special day! 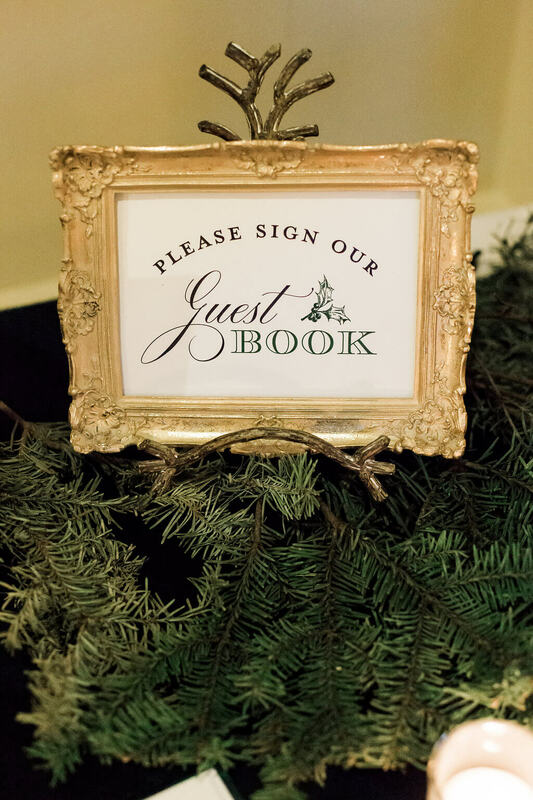 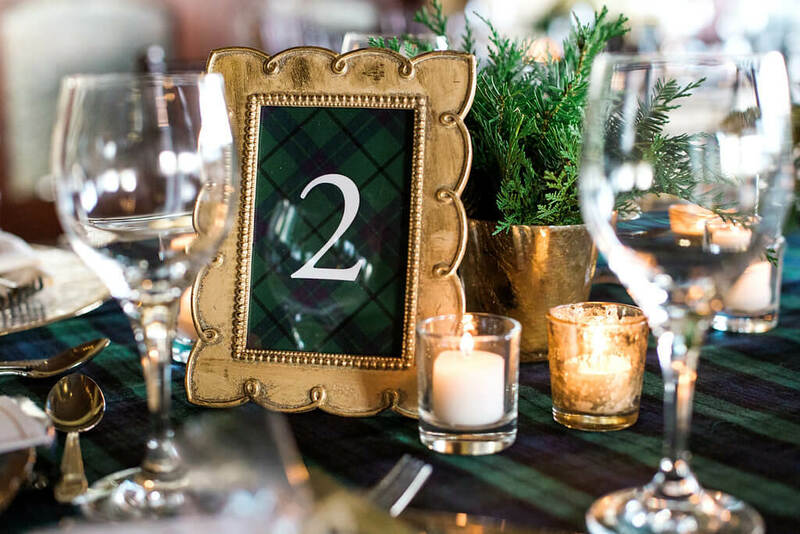 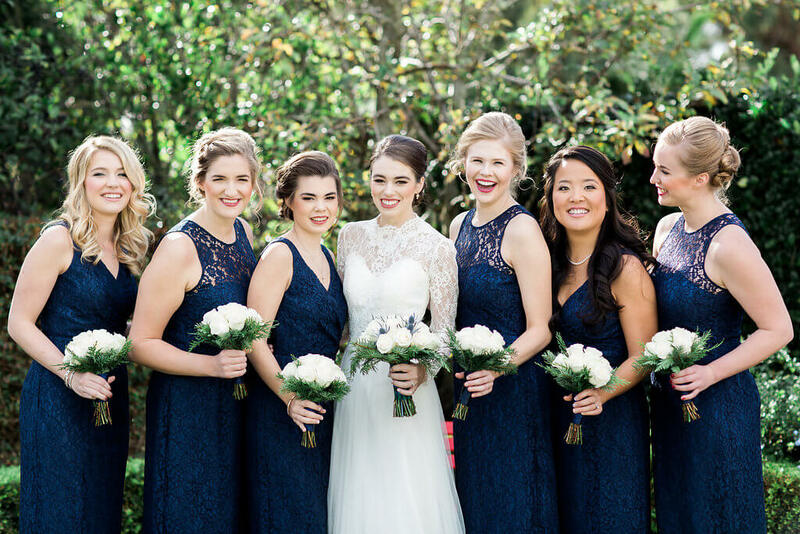 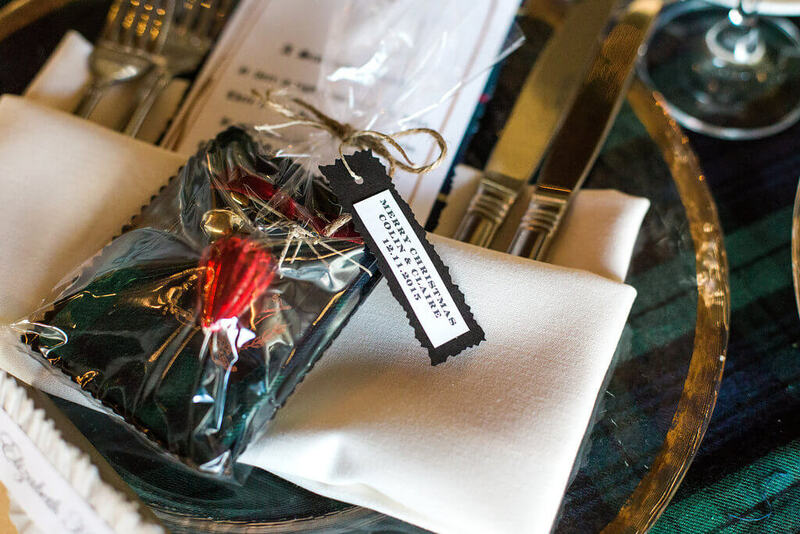 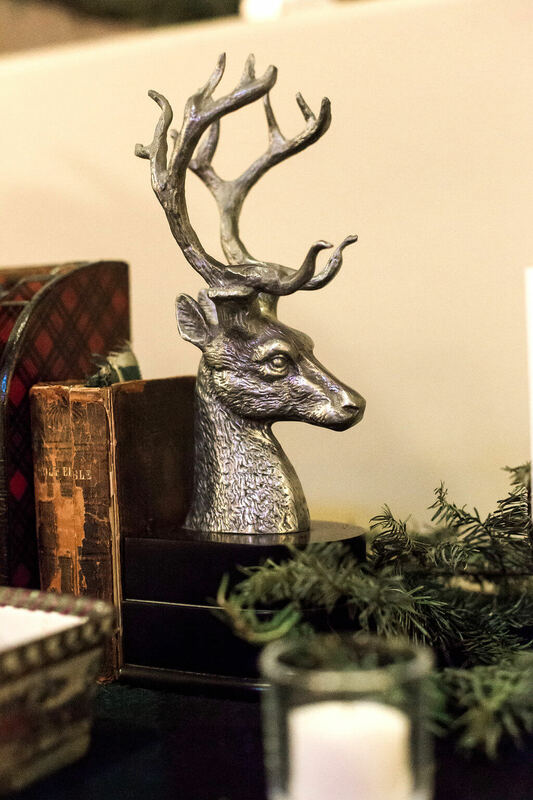 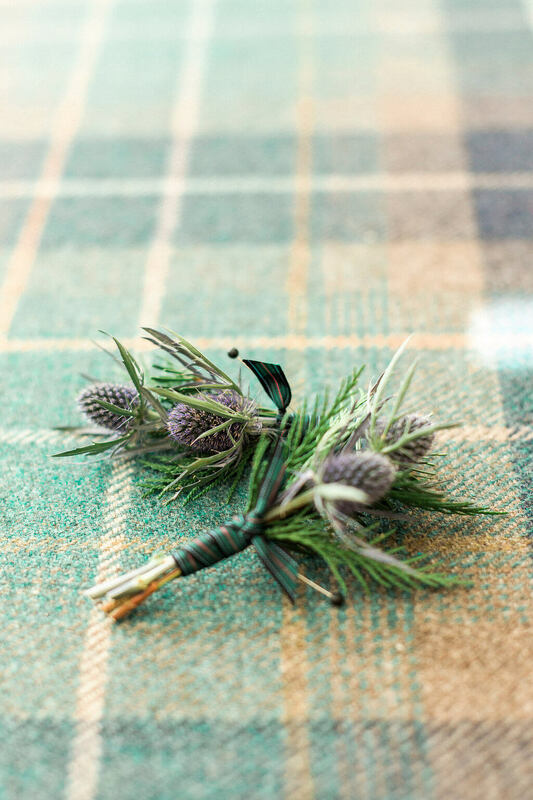 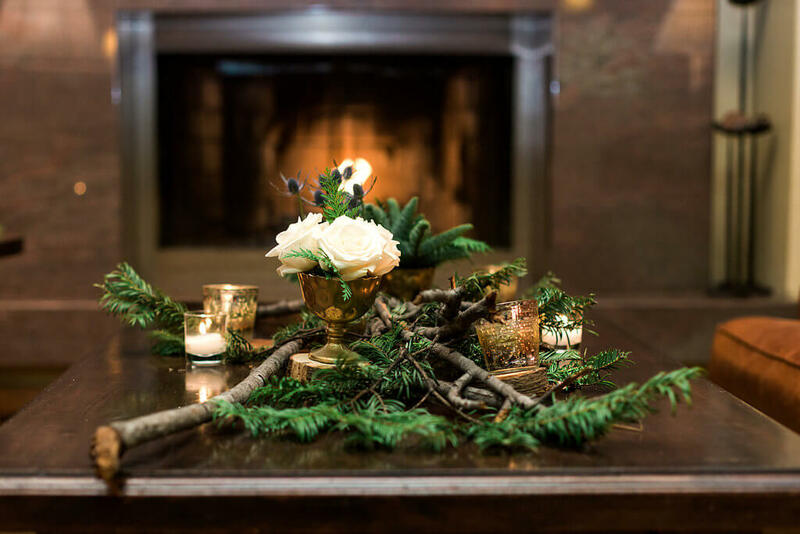 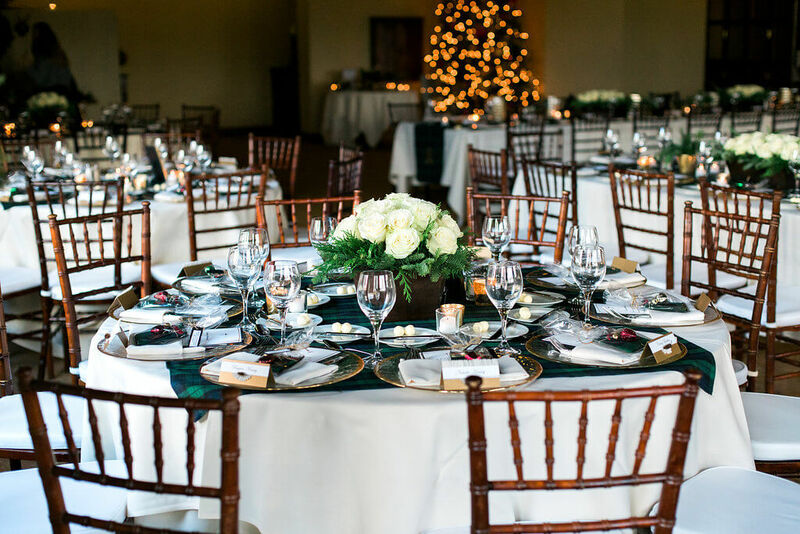 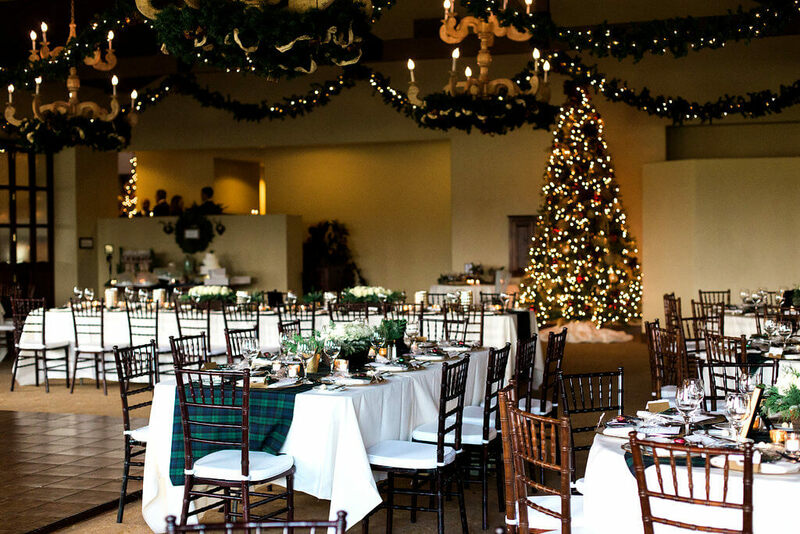 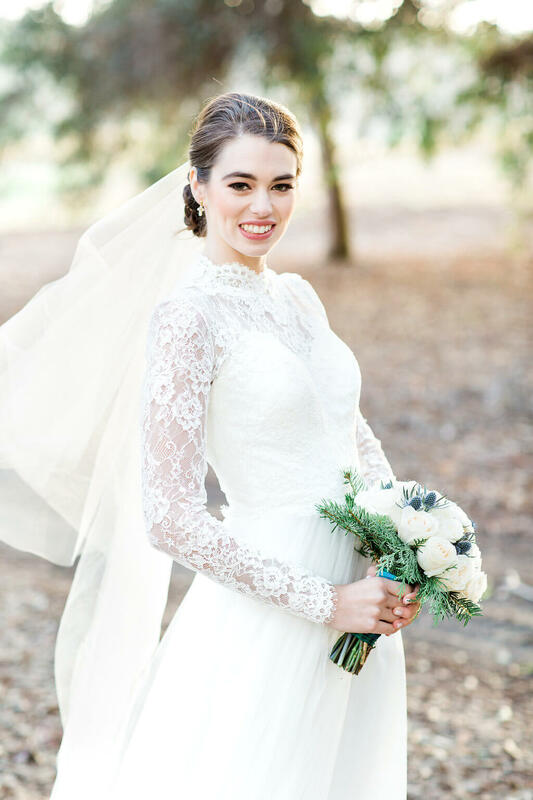 The cozy cabin-like feel of the venue, the crackling of the fireplace, and the briskness of December in California made for one incredible tartan plaid wedding!